Although it still remains blistering hot in New York, the good news is that autumn is just around the corner. And with it comes a much needed fall breeze and some pretty orange and yellow leaves. As liberating as a summer vacation may be, especially at first, sometimes it’s just too hot to even go outside! Luckily, you’ve made it through the worst of it. And now it’s time to pick up the wheelbarrow and shovel and get back to work! Brought to you from the Peekskill fence company that you can trust to always give you the best advice, here are our gardening tips to set autumn off in the right direction. It’s the perfect time of year to add a bit of variety on the color spectrum to your garden. The best way to do this is with some fall-blooming mums. Be sure to do your research on how to plant them properly. If you can maintain them consistently, they’ll withstand the cold of winter and come back just as bright and colorful the following year. This is an investment well worth your while. And fall is an ideal time of year to get yourself psyched up to make it happen. A tree will add a central focal point to your garden. It will also give you the opportunity to grow yourself some fruity snacks. Think of all the fruit tree options you have to choose from. Take your pick from apples, peaches, pears, plums and more. Watch your tree grow through the years, as the leaves change and the fruit grows. We don’t want to tell you what kind of tree to plant, but if you go with an apple tree you can make yourself some delectable apple cider. 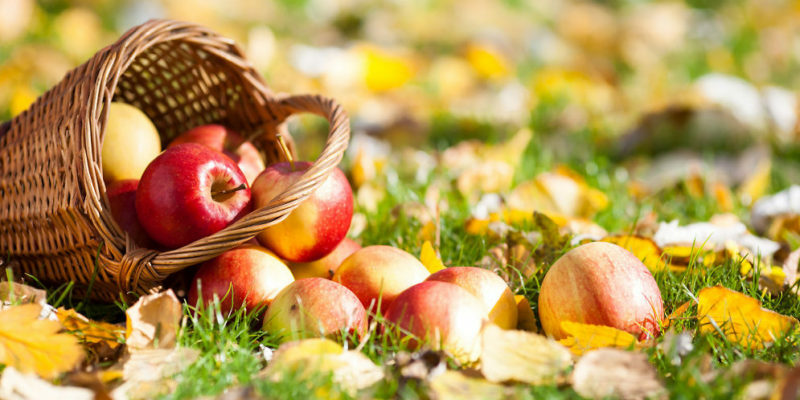 At no time in the year is cider as delicious as it is in the fall. The apples you use don’t have to be perfect either. Just so long as they’re not completely rotten they’ll still suffice. Ah yes, the staple of autumn. There’s a golden window of time in which the leaves change color but still remain on the trees. Enjoy it while it lasts because in a couple days all those leaves will be on your lawn. On the upside, not all of them will be your responsibility to clean up. Some leaves are better left untouched. It depends a lot on where they fall. For example, leaves on the sidewalk have to go. They’re slippery and dangerous. But leaves below the trees in the garden will eventually dissipate and convert into compost, which ultimately is good for the garden. Fall welcomes you with open arms. Welcome your guests with a fence design that gives off the impression that all who come in peace are welcome to join you in your newly developed autumn garden. We’re the best quality Peekskill fence company in town and we’re proud of it.. To make an appointment to have a new fence built around that wonderful garden of yours, give Quality Best Fence a call today at 914-737-8700.